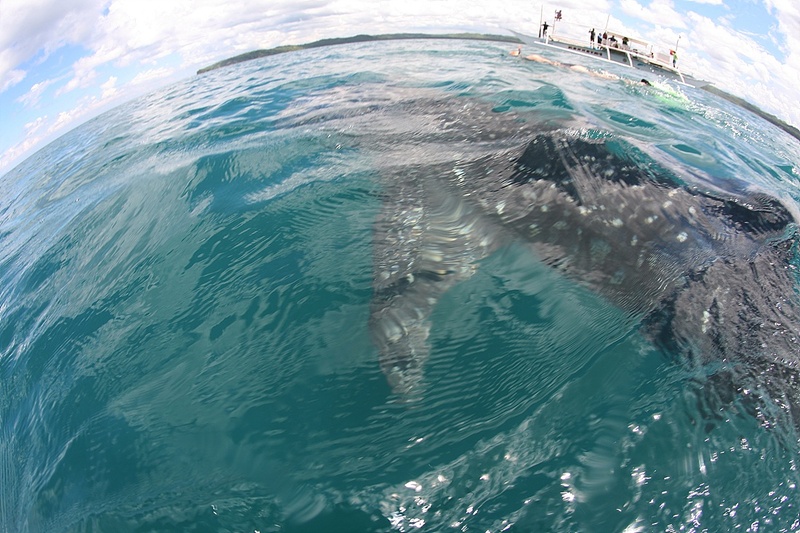 The monitoring boat found one whale shark today. The whale shark is go down quickly when people close to him. And they swam so fast like race with people.